Jenifer is a published author, providing practical advice to help leaders take action in moving their companies forward. Her work has appeared in a wide range of publications, including Private Capital, Yahoo! Finance, Golden Girl Finance, Divestopedia, Canadian Capital, and Club Manager Quarterly. Read what we write, and chances are, you will identify something to start (or stop) doing right now, generating better performance as a result. Click on the image above to order your copy! 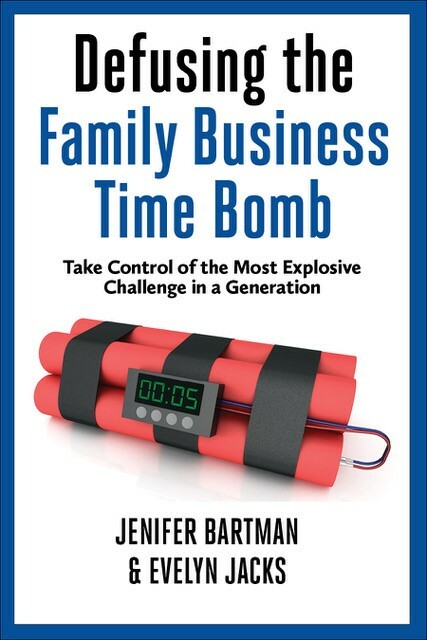 Family businesses are under siege, as owners face the must explosive challenge in a generation: demographics, new, complex business models, rapid digital/technological advancement, and heightened economic, political, and tax uncertainty. Business leaders need to take control of their company, now, to ensure ongoing relevance and set the stage for transition in the future. Click on the image above to order your copy! Jenifer is an expert advisor to It’s Your Money, Honey, encouraging women of all ages and life stages to take a greater interest and play a more significant role in the financial issues that affect their everyday lives and financial futures.